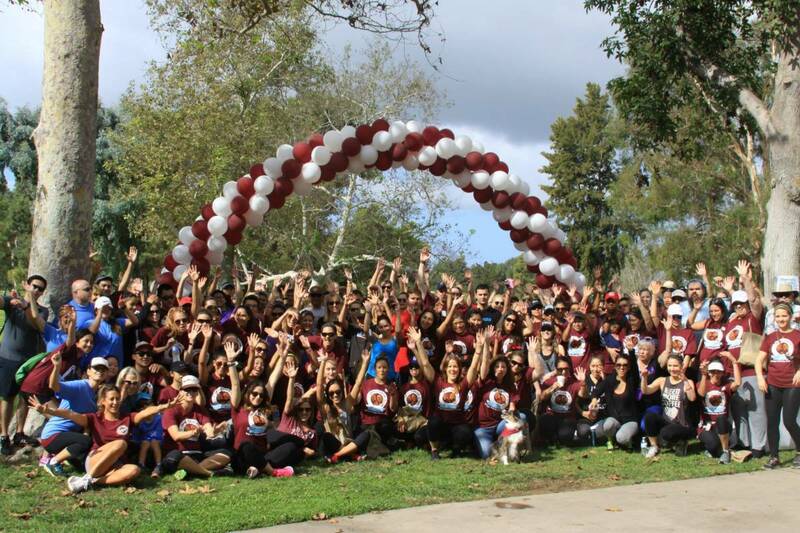 This last weekend the OCF 3rd Annual Southern California Oral Cancer Walk for Awareness took place in Fountain Valley at Mile Square Park. The walk is a little different than others, as the volunteers that put it on are primarily OCF past and present employees and their family members. It’s always great to have the whole group back together again to do some good in the community, and the oral cancer world. Southern California delivered its customary beautiful weather, and when combined with a great location, made for the perfect event day. Westminster High School, Bolsa Grande High School, Cerritos High School, Rancho Alamitos High School, and West LA High School were all well represented by their student volunteers who chipped in to set up, work water stations on the walk route and guide people from the parking lot to the actual event site. We were particularly impressed by these young people who turned out, and their desire to become engaged in a charitable event. Their volunteerism showed they were developing a value system that was admirable. Lots of oral cancer screenings were conducted on those in attendance, and a full complement of doctors donned burgundy OCF scrubs to do them. We’d like to thank Dr’s Bjorn Jonsson, Matt Riggs, Frank Wilkinson, Janice Chou, and Steve McNicholas, for being available to conduct them. An important component of OCF walk/run events around the country are the free public screenings that are available at them. In each location, it is a chance to not only screen, but disseminate important information about this cancer, its risk factors that can be avoided, and the early warning signs to be aware of. Throughout the event, DJ Aero kept the sounds coming. Better known to crowds when appearing with Tommy Lee (of Motley Crue fame) playing a mixture of techno, hip-hop, and progressive music at venues around the world, for this day he would dial it back several notches and become MC, announcer, and creator of this day’s soundtrack. Having survivors, or family members of those lost at OCF’s national events is important; as few can speak to the terrible nature of this disease as they can, nor express as passionately why we need to bring it under control. Without them, the disease can too easily become statistics and numbers, and its human toll not fully appreciated by those in attendance. This walk event was no different, and bringing that passion and message to the day were Victoria Clairemont and Andrew Galvez, who shared the loss and memories of their late sister and wife, Tara. The difficulty of her battle against oral cancer, and the pain of her loss was palpable in their words, which left few with dry eyes in the crowd. They were followed by OCF’s co-founder, Ingrid Hill. Ingrid had a chance to talk about her husband Brian’s battle with oral cancer, and how that became the genesis of the foundation itself. Her talk covered some of the foundation’s accomplishments and high points over the last 17 years and illustrated what the next ideas and projects for the foundation were. From more national screening events to a new focus on funding research in immunotherapies like OCF’s previous investment in the new immune checkpoint inhibitors, to a push for public self-discovery in partnership with the RDH community, clearly, there is much to look forward to. It was a great event, and we are grateful to all those that helped make it happen through their financial sponsorship, attendance, and their desire to volunteer. There is nothing that we do at OCF that is not made possible by the generosity and altruism of those that support us. 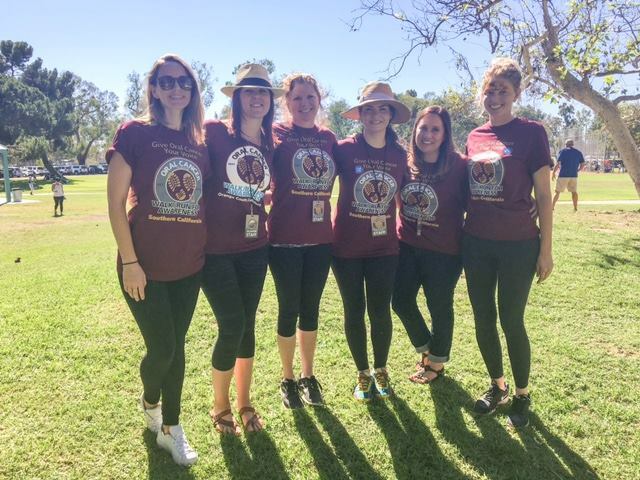 The sea of hundreds of burgundy shirts at this event, which is replicated at many other OCF walks around the country is becoming larger each year, and hopefully one day it will wash oral cancer off the list of high death rate cancers. If you wish to be part of an event next year, the schedule has added many new geographic locations. Please visit our web site to find a location near you. As a volunteer or participant, you can be “part of the change” from late discovery and poor outcomes, to reduced incidence and greater survival rates. Come join us!